What is the Quality Service Certification? QSC certified Real Estate Brokers make a pledge to their clients by presenting each client with a written Quality Service Commitment. This commitment describes all of the services that the real estate broker commits to providing throughout the real estate transaction. To measure their clients’ level of satisfaction, QSC certified brokers use customer satisfaction surveys that assess the level of service provided, thereby enabling brokers to offer quality service that meets consumers’ expectations. How does Quality Service Certification® benefit the consumer? 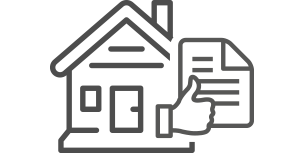 Quality Service Certification® was created to offer home sellers and buyers a commitment regarding the high-quality service they will receive in every real estate transaction. This is the service provided by a Quality Service Certified® real estate professional. What distinguishes a Quality Service Certified® real estate professional? To become Quality Service Certified®, a Real Estate Broker must attend the Quality Service Certification® program, pass a written examination, and sign a commitment to follow a prescribed procedure that is presented in writing to every home seller and home buyer. Following the closing of each home sale or purchase, an independent research company sends the consumer a comprehensive survey asking critical questions about the details and overall satisfaction of service provided by the broker. The broker’s ability to maintain their Quality Service Certified® status is dependent upon satisfactory service evaluation feedback from those buyers and sellers. How is the Quality Service Certification different from the other designations real estate professionals use? Quality Service Certification® was created to benefit the consumer. In today’s era of technology, it provides consumers with a tool that allows them to view a Real Estate Broker’s satisfaction level, given by former customers who have already used the services of this broker. This certification is earned and maintained by meeting a standard of ongoing quality service each time a customer is served.